Links didn't work. Trying again. 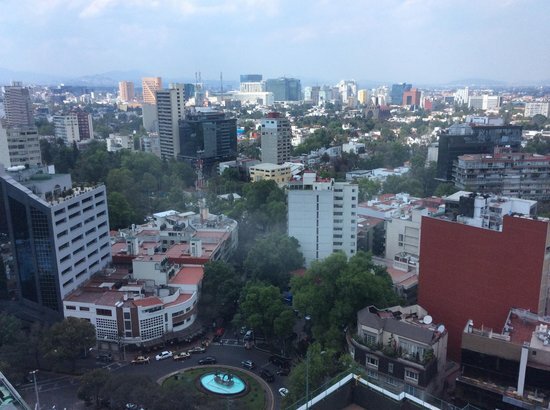 Image is flipped and probably taken from the Hyatt Regency Hotel, Campos Elíseos 204, Polanco, Polanco IV Secc, 11560 Ciudad de México, CDMX, Mexico. Closeup Google Map Image of brown building in photo. Matching Image of building in foreground of photo.